Pros: An intense dramatic production, with some moving performances and a story that sticks in the mind. Cons: We don’t get to see some of the interesting narrative shifts play out. An interesting and memorable piece with a hard-hitting story. When a teenage game gets out of hand, events spiral out of control and a group of high school students find themselves in over their heads. DNA tells the story of a harrowing moral dilemma and the consequences of choosing the wrong path. The standout feature of this production is James Tarpey, in the role of Adam. As the unfortunate victim of the group’s ‘game’, Adam wasn’t someone I was expecting to see in the flesh. However, when he did appear, I immediately felt a strong emotional connection with the character. The role is relatively brief, but Tarpey’s delivery is so infectiously emotive that it lingers in the scenes following his exit. Simon Every and Chezzney Clarke are also great in the roles of Brian and Lou. Brian is loud and distressed by the unravelling events, whilst Lou is virtually silent throughout. I thought that both were fantastic portrayals of the different ways people submit to oppressive behaviour and the feeble one-liners from Clarke were particularly heartbreaking. Interestingly, while many of the characters in DNA go through significant transitions, for the most part, these take place off-stage. 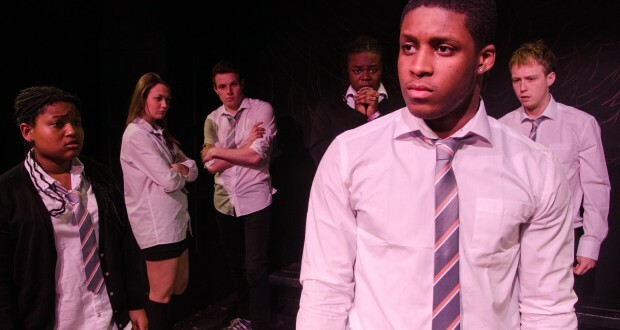 Through conversations between other characters, we learn that ex-gang leader John (Josef Kaplicky) has found God, that Brian has spiralled into further medication and that opportunist Cathy (Daisy Wood) has risen to lead the group. I personally felt it was a shame not to see these events happen on stage. With the exception of Brian, everyone seems to remain on one emotional track throughout the piece and I felt that witnessing these shifts in power would have given the actors a bit more depth to work with. Dennis Kelly’s script is written in a natural way, with a lot of half-sentences and verbally awkward streams of consciousness. At times, this has the effect of making the conversation feel very believable, especially given the panic-stricken nature of some scenes. In other cases, sections of dialogue could feel quite constructed, particularly at the ends of scenes. These moments do feel quite poignant and sometimes even poetic, but for me, this jarred a little with the realistic style of the rest of the piece. DNA is preceded by a short film, entitled Callum. The film itself is engaging and I felt it appropriately set the tone for the play that followed. Beyond this, the play features quite minimalist audio-visuals and a simple set. Atmospheric lighting and sound are used effectively, to emphasise moments of high tension, as well as to open and close scenes. 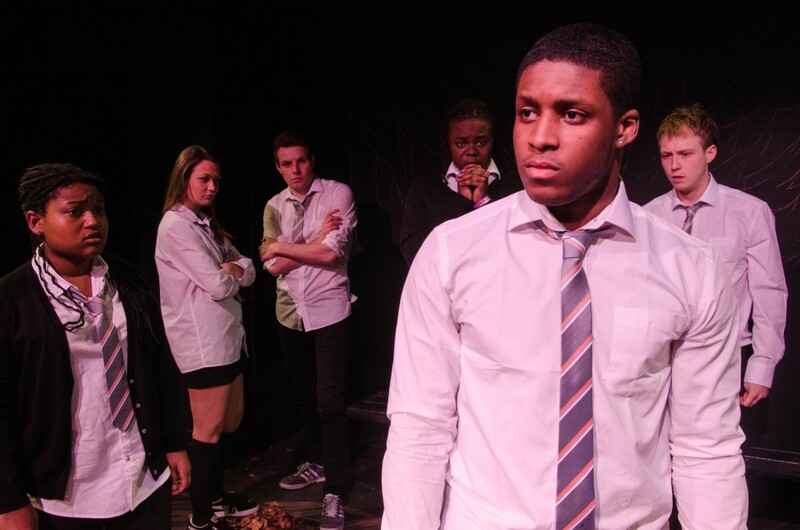 The black interior of the Brockley Jack Studio Theatre is a fantastic venue for this piece as the dark walls and seating allow you to become completely absorbed in the world of the play, as soon as the lights are dimmed. I was equally impressed by the pub outside of the auditorium and in particular the staff, who greeted me when I arrived. They were polite, helpful and welcoming from the moment I walked through the door. It was only a brief part of the evening, but their attentive customer service really stood out to me. DNA is a genuinely unnerving story, delivered at a relentless pace. There is very little time to take stock of events and the high level of drama rarely wavers from start to finish. There are a few moments of comic relief sprinkled throughout but for the most part, this is an intense piece of theatre.